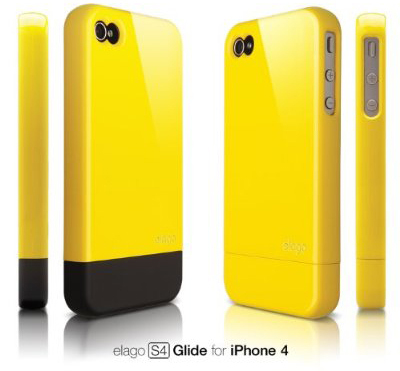 Elago has released a new slider style case for the iPhone 4 called the S4 Glide, a durable hard shell with a polyurethane coating to minimize scratches on the finish. As of now the S4 Glide is only available in yellow, however it also comes with one extra black bottom cover so that you can change up the look if you feel like it. The S4 Glide also come with front and back film protection all for $19.99.